Serving the Professional Builder & Remodeler for 70 Years! 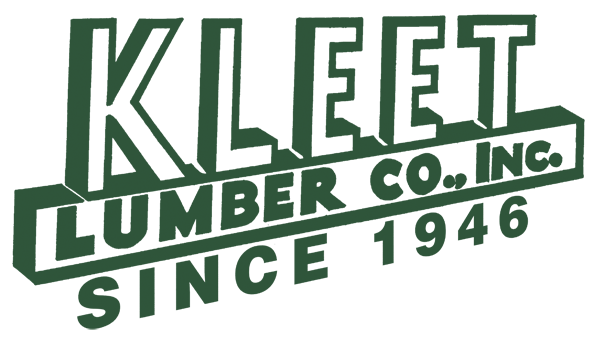 Kleet Lumber was founded by Maxwell Kleet in 1946 and has been serving developers, custom builders, remodeling contractors and homeowners throughout the Long Island and metro New York areas ever since. Now owned by Maxwell’s twin sons, Howard and Warren, the company supplies lumber, siding, residential roofing, windows, exterior doors, interior doors, hardware, and mouldings, as well as a full line of building products. Our custom Millwork Shop, outfitted with it’s own moulding machines, can create over 450 profiles allowing you to build the custom mantels, bookcases, brackets, and radius casing you require. Whatever your building needs, you can rely on Kleet for quality products, experienced advice, timely deliveries and professional follow-up.